An original two plate intaglio print, capturing the light filtering through the treetops. 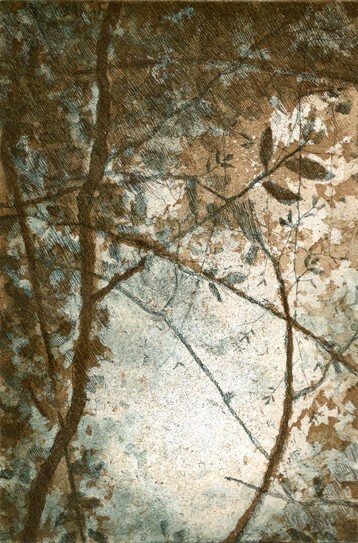 This print was selected for the Limerick Printmakers Open Submission Print Show 2011. Medium: 2 x Copper plates – hard ground line etching, aquatint and spitbite.